sea level. , after the night trek we reach the high plain around 06.45 hrs , temperature often averages minus cero. Breakfast and trek along the geo-thermal field, Vision of the imposing steam columns, fumaroles, hundreds of boiling water wells and high peaks which are majestically framed by spectacular view of the nature at dawn. 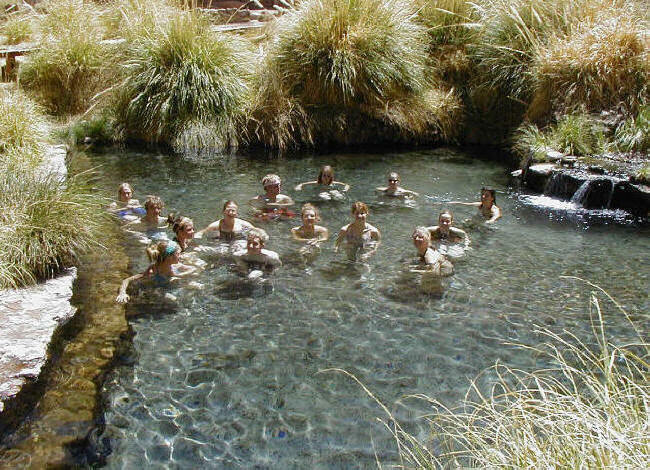 Then we go to the thermal springs , the waters average 40º Cº which permits the adventurers to take a refreshing bath. 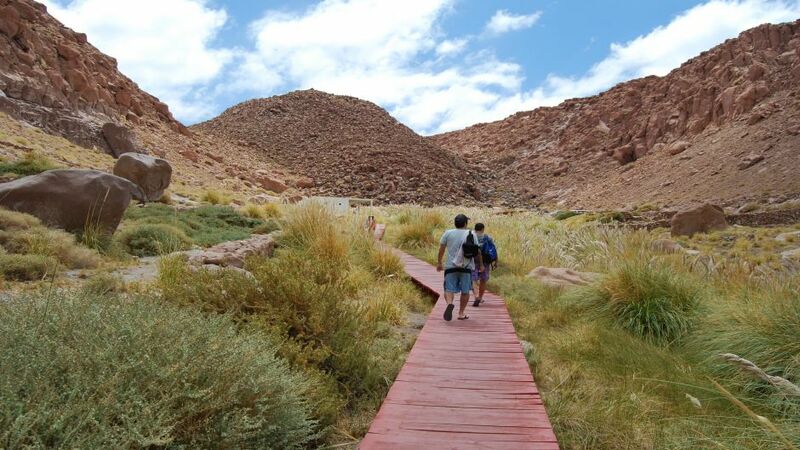 Soon afterward we initiate the return to San Pedro de Atacama across the amazing landscape of the Andes range. Time for a break or bath . Return to San Pedro de Atacama. 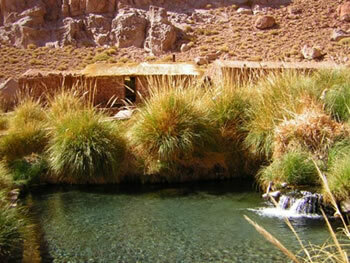 Start location: The price includes starting all hotels, apartments and accommodation in San Pedro de Atacama.